I realize that we're still a few weeks away from the 1st day of summer. I'm just reusing the name that Finley Holiday Films used for their outstanding short film highlighting Grand Teton National Park. The video shows what this beautiful park looks like in June as the snow melts, and the wildflowers and wildlife begin to emerge from a long winter. With more than 200 miles of trails meandering throughout the park, hiking is the absolute best way to see Grand Teton National Park. Fortunately the park offers a wide variety of outstanding day hikes. If you do plan to visit Grand Teton this year, please note that our hiking website also offers a variety of accommodation listings and other things to do to help with all your vacation planning. Favorable weather conditions have allowed firefighters to fully contain the North Peak Fire in McDowell County over the weekend. The final size of the fire is approximately 570 acres. The North Peak Fire was reported Wednesday morning, March 23 on North Carolina Wildlife Resource Commission Game Lands. The fire burned on private and Pisgah National Forest Lands on the Grandfather Ranger District. The fire area is located in rugged terrain north of Lake James Road, east of Hankins Road, and south of Bald Knob, 5 miles northeast of Marion, N.C.
A history of prescribed fire and wildfire in the area allowed firefighters to use existing containment lines in suppression efforts. This limited the spread of the wildfire to the south and west and provided safe access routes to the fire area. There were no injuries or structures lost in the fire. The Over Mountain Victory Trail has reopened. The U.S. Forest Service (USFS) and N.C. Forest Service (NCFS) managed the fire jointly with resources from both agencies and support from the North Carolina Wildlife Resources Commission, McDowell County Emergency Management Services, Hankins-North Fork Volunteer Fire Department, and the North Carolina Department of Transportation. Both agencies remind the public that we are currently in wildfire season across Western North Carolina. 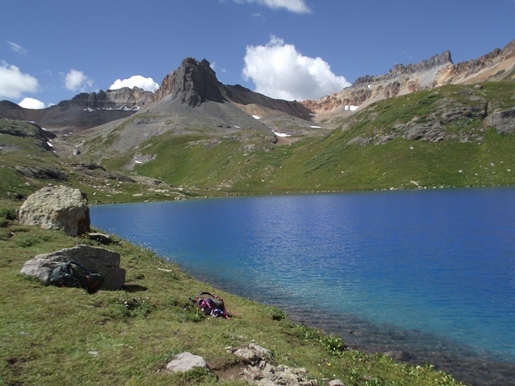 Ice Lakes, located just outside of Silverton in the San Juan National Forest, has the most intense cobalt blue color I’ve ever seen in nature. Combine this extraordinarily beautiful alpine lake with outstanding mountain scenery and several thousand wildflowers, and you have one of the best hikes found just about anywhere. The Blue Lakes Trail travels to an extremely scenic glacial basin within the Mt. Sneffels Wilderness area. Although not a national park, the San Juan Mountains near Ouray could easily qualify as one, and would probably rank as one of the crown jewels within the entire national park system. You could also make a strong argument that the hike to Blue Lakes would rank high on the list of the best hikes among all of our national parks. 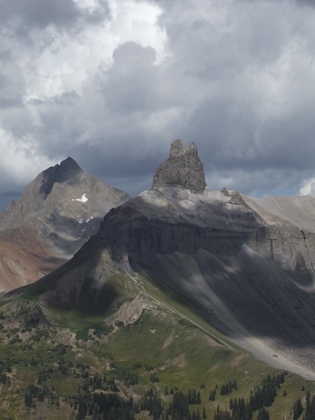 Although Black Face Mountain may look fairly nondescript from the top of Lizard Head Pass just outside of Telluride, you shouldn't be deceived - the views from the summit are quite amazing. After a relatively easy climb hikers will enjoy stunning panoramic views of several 13 and 14,000-foot peaks, as well as the iconic Lizard Head. 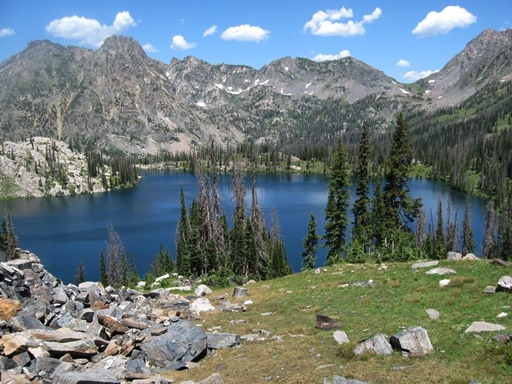 The Gilpin Lake / Gold Creek Lake Loop in the Mount Zirkel Wilderness area near Steamboat Springs is an extremely popular hike. The trail visits waterfalls, broad glacially-carved meadows, and two scenic lakes. From the top of Gilpin Ridge you’ll enjoy absolutely stunning views of Gilpin Lake, a deep blue, alpine lake that lies below the gaze of Mt. Zirkel and Big Agnes Mountain. Why not just go to the top of Colorado? Not only is 14,440-foot Mt. Elbert the highest point in Colorado, it’s also the highest point between Mt. Whitney in California, Fairweather Mountain in Canada, La Malinche Mountain in Mexico, and Mont Blanc in France. 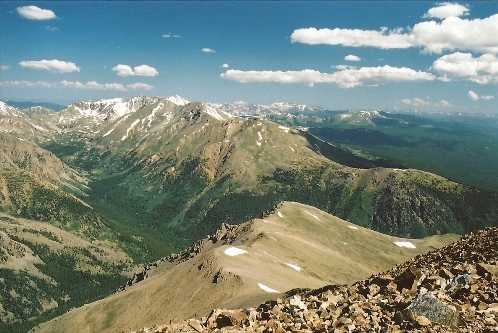 From the “roof of Colorado” hikers will enjoy outstanding panoramic views. 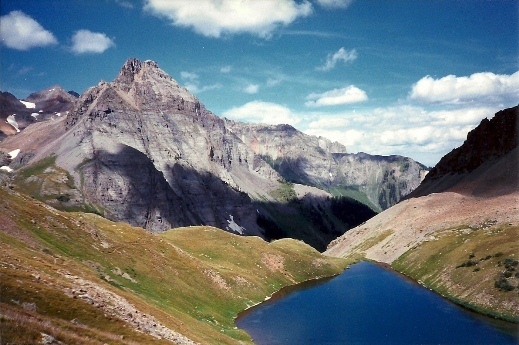 Moreover, as “fourteeners” go, the hike to the summit is relatively easy. At 14,265 feet Quandary Peak ranks as the 13th highest mountain in Colorado, and is one of the more accessible fourteeners in the state. The trailhead is located only 8 miles south of Breckenridge, and doesn't require a 4-wheel drive vehicle to reach it. Moreover, the 6.75-mile roundtrip route has very little exposure to steep drop-offs, thus making this a great first mountain for novice peak baggers. Firefighters are working to contain the North Peak Fire burning in McDowell County. With dry conditions and low humidity, the fire grew Thursday afternoon and is now estimated at 500 acres and 50 percent contained. The North Peak Fire was reported Wednesday morning, March 23 on North Carolina Wildlife Resource Commission Game Lands. The fire is also burning on private and Pisgah National Forest Lands on the Grandfather Ranger District. The fire is located in rugged terrain north of Lake James Road, east of Hankins Road, and south of Bald Knob, just north of Lake James and 5 miles northeast of Marion, N.C.
Low humidity and high winds increased fire activity yesterday afternoon ahead of approaching storms. Higher humidity overnight provided good conditions for crews to make progress on containment. However, no rainfall was recorded on the fire. 76 firefighters are currently assigned to the incident. 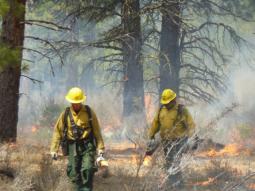 Firefighters are working to improve containment lines today. Burn out operations will take place this afternoon to secure the containment lines. Firefighters are also providing point protection for structures and equipment in private rock quarries within the fire boundary. No homes are threatened. A helicopter will be assisting today. The area adjacent to where the fire is burning has a history of prescribed fire treatments and wildfires. These areas provide natural fire breaks and allow for utilization of existing containment lines. The U.S. Forest Service (USFS) and N.C. Forest Service (NCFS) are managing the fire jointly with resources from both agencies and support from the North Carolina Wildlife Resources Commission, McDowell County Emergency Management Services, Hankins-North Fork Volunteer Fire Department, and the North Carolina Department of Transportation. Minimizing risk for firefighters, local communities, and the public are primary goals. Smoke may be present today near Lake James and Marion. Members of the public traveling in the area should use caution when driving. Officials are asking the public to avoid the area for their own safety and the safety of emergency response personnel on scene. The Over Mountain Victory Trail in the Bear Creek area is closed to provide for public and firefighter safety. An information center to provide public and media information on the wildfire is stationed at the Black Bear Boat Launch on Lake James. The cause of the wildfire remains under investigation. Awhile back the Great Smoky Mountains Association published a video of the hike out to Charlies Bunion - arguably one of the best hikes in the national park. Charlies Bunion (the video explains the origins for this somewhat odd name) is a rock outcropping located along the Appalachian Trail that offers stunning views of the northern Smokies. For more information on this popular hike, please click here. With more than 800 miles of trails meandering throughout the park, hiking is the absolute best way to see the Great Smoky Mountains National Park. In addition to Charlies Bunion, the park offers many other outstanding hikes. If you do plan to visit the Smokies this year, please note that our hiking website also offers a wide variety of accommodation listings to help with all your vacation planning. Over the past several years, the market for medicinal herbs has been on the rise. One of the products in demand is the bark from slippery elm trees (Ulmus rubra). The inner layer of slippery elm bark contains a gel-like substance that is presumed to be a soothing agent for sore throat, gastrointestinal problems, and skin irritations. “Each year, we have seen a steady increase in the number of slippery elm trees being stripped of their bark,” said Forest Botanist David Taylor with the Daniel Boone National Forest. The taking of slippery elm bark from trees on national forest land is illegal. Under the 36 Code of Federal Regulations, “removing any timber, tree or other forest product, except as authorized by a special-use authorization, timber sale contract, or Federal law or regulation” is prohibited (36 CFR, Section 261.6h). “The theft of natural resources from national forest lands can lead to a species’ demise,” added Taylor. Other forest products commonly removed from national forest lands include timber, mosses and lichens, wildflowers and rocks. None of these resources can be taken without a permit. To help prevent the illegal taking of natural resources on national forest lands, the public is encouraged to report the theft of forest products by calling 859.745.3100. Back in 2014 David Socky and friends took a hike up to 12,713-foot Hallett Peak in Rocky Mountain National Park. The video below shows some of the highlights from that trip - one of my favorite hikes in the park. Round trip, the hike is 10.3 miles in length, and climbs roughly 3240 feet. But as you can see from this film the spectacular views make it all worthwhile. You can find additional information on this hike by clicking here. In addition to Hallet Peak, Rocky Mountain National Park has many other outstanding hikes that take-in the best scenery the park has to offer. If you do plan to visit Rocky Mountain this year, please note that our hiking website also offers a wide variety of accommodation listings and other things to do to help with all your vacation planning. Big South Fork National River and Recreation Area has announced that they have recently received a grant to support the park’s Centennial Challenge: 100 Miles for 100 Years. In honor of the National Park Service’s Centennial, Eastern National expanded their funding program to include additional opportunities for programs and initiatives that help visitors connect with America’s national parks. Eastern National is a not-for-profit cooperating association that supports interpretive, educational, and scientific programs and services of the National Park Service. The Big South Fork Centennial Challenge: 100 Miles for 100 Years challenges park visitors to complete at least 100 miles of hiking, horseback riding, mountain biking, trail running and/or paddling within the park’s 500-mile multi-system trails including 70+ miles of the Big South Fork River and its tributaries. Participants who successfully complete the challenge and log their miles by December 2, 2016, are eligible to receive a special edition “Centennial Challenge” patch. “The Appalachian Trail Conservancy understands that the increasing number of long-distance Appalachian Trail hikers presents a management challenge for Baxter State Park officials. We will continue to work cooperatively with Baxter State Park by informing and educating long-distance hikers about proper hiker behavior. To assist in the growing number of Appalachian Trail users and to help educate long-distance hikers about the new permit system Baxter State Park is implementing in 2016, the ATC will have a seasonal staff person in Monson, Maine beginning in the summer. A presence in Monson demonstrates the ATC’s commitment to a comprehensive and proactive stewardship plan that will further our ability to work with our partners in protecting a high-quality hiking experience. For more information on the new permit system, please click here. Below is an excellent "hikelogue" from The West is Big! Travel Guides. The film highlights one of the best hikes in America. This epic starts from Logan Pass in the heart of Glacier National Park, and takes hikers along the famous Highline Trail to the Granite Park Chalet. From the Chalet the filmmakers take you up to the Continental Divide at Swiftcurrent Pass, and then down the Swiftcurrent Pass Trail and into the Many Glacier area. In all, this quintessential Glacier trip covers roughly 15 miles! Although this might be a fairly difficult hike for most people to do in one day, hikers still have several options for enjoying this spectacular scenery. You could plan to stay overnight at the Granite Park Chalet, thus breaking the hike into two relatively easy days. However, reservations are usually needed several months in advance to stay at this popular backcountry inn. You should also note that you'll need to have two cars, or hire a shuttle to do this one-way hike. Another option is to take the one-way, 11.8-mile hike from Logan Pass to the Loop. This option takes hikers along the Highline Trail to the Granite Park Chalet, and then travels west bound down the mountain to a spot on the Going-to-the-Sun Road known as the Loop. Hikers can take the free park shuttle back up to Logan Pass (actually, it's better to park your car at the Loop, and then take the shuttle to Logan Pass first thing in the morning). If this still seems like too many miles, you'll also have the option of hiking out to Haystack Pass. This moderate 7.2-mile out and back hike still offers hikers a lot of world-class mountain scenery. With more than 740 miles of trails meandering throughout the park, hiking is the absolute best way to see Glacier National Park. In addition to the Highline Trail, the park offers many other outstanding hikes. If you do plan to visit Glacier this year, please note that our hiking website also offers a wide variety of accommodation listings and other things to do to help with all your vacation planning. Yellowstone In Winter - 2016 from Jerry King on Vimeo. It seems that many national parks have at least one loop hike that takes in the best of what that park has to offer in terms of scenery. Grand Teton National Park is no exception to that rule. In fact, the Paintbrush Canyon-Cascade Canyon Loop can probably be described as being "epic". At roughly 20 miles in length, it's quite a long hike to do in one day - though there are many people who still tackle it in one fell swoop. With several backcountry campsites located in both canyons, backpackers can easily hike this loop at a much more relaxing pass by taking two, or even three days, to complete it. Below is an excellent video that highlights the stunning scenery hikers will see on this route. It takes hikers up to Holly Lake in Paintbrush Canyon, over the spectacular Paintbrush Divide, down to Lake Solitude, and then finishes off with a walk through the extremely popular Cascade Canyon. If the idea of backpacking or doing this route in one day isn't your cup of tea, fortunately you can see much of route by doing two separate day hikes. The Appalachian Trail Conservancy (ATC), the Southern Appalachian Wilderness Stewards (SAWS), and the U.S. Forest Service are teaming up for the sixth year in a row to hold the nationally acclaimed training program Wilderness Skills Institute (WSI). The training event will be held at the Cradle of Forestry on the Pisgah District of the Pisgah National Forest, outside of Brevard, North Carolina, from May 23 to 27 and May 30 to June 3. Those interested in attending should apply by Sunday, March 6, at: http://wildernessskillsinstitute.org/. The training series includes basic to advanced skills needed to work in the wilderness. Courses planned for May 23 to 27 include cross-cut saw training, wilderness first aid, bridge construction using traditional tools, cross-cut saw sharpening, and wilderness education and interpretation. The second week will focus on trail maintenance techniques, wilderness recreation resource management, and field leadership training. “The Wilderness Skills Institute is one of the best training opportunities for agency employees, partners and volunteers who work in wilderness stewardship to gain not only hard skills but also develop the relationships necessary to manage our public lands now and into the future,” said Chris Ham, Southern Region Wilderness program manager for the Forest Service. WSI courses are delivered by instructors who are experts in their field. Course participants include new and seasoned volunteers, National Forest and Park Service personnel, and staff from ATC and SAWS. Training through the Institute is provided for free to accepted students. Free camping is available on site for those wishing to take advantage of the facilities. 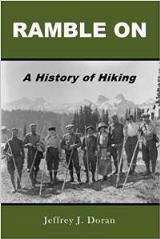 “The Wilderness Skills Institute has not only grown to provide some of the best instruction in public land stewardship, but has become a cultural hub of the Wilderness and Trail community, a true gathering of passionate advocates for giving back,” said Bill Hodge, executive director of SAWS. For more information about this training course, contact Leanna Joyner with the ATC at 828.254.3708 or Brenna Irrer with SAWS at 828.226.4320.